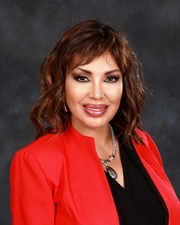 My name is Socorro Rodriguez, I am a full-time Realtor associated with EXIT Castillo Realty. I specialize in helping clients buy, sell or invest in Real Estate in Ventura County, California. Focused and committed to serving our local neighbors in Oxnard, Port Hueneme, Ventura, Camarillo, Santa Paula and surrounding areas in the County of Ventura. Real Estate is a privilege and I take pride in helping my clients achieve their dreams and their goals. With a background in Healthcare Administration, Sales and Marketing, I find myself in a unique position to use all my skills and talents in helping people buy or sell their homes with integrity, honesty and open communication. My client’s financial and emotional wellbeing is my priority. I was born and raised in Mexico and since I was a child, I knew how important it was to own my own piece of land. I inherited this knowledge and desire from my great-great grandparents and it was passed down to every generation in my family. I purchased my first home at the age of 24 and I moved to Ventura County in 1996. I knew instantly that Ventura County was my home, where I wanted to work and play. I love living in this beautiful community and with the same enthusiasm, I want to work better and smarter every day in guiding my clients in all their real estate needs every step of the way. I am fluent in Spanish/English and I’m here to help you, please text me or call me at any time at (805) 205-0119. Testimonials: “Socorro Rodriguez is a great coach, she helps people make good decisions, her honesty and integrity coupled with her understanding and compassion made us feel secure about our real estate transaction.” Patricia and Greg G.
“Socorro Rodriguez is very caring, efficient and smart. She was always genuine and supportive kept us informed every step of the way in the real estate transaction. Thank you from the bottom of my heart for everything you did for us”. Larry C.
Per our Broker at Exit Castillo Realty “With our experience, knowledge and willingness to help the Public, EXIT Castillo Realty will always place the interest and goals of the public in first place”.